For the past 3 weeks at BSM North, we've been in our "Do Something" series, where we've been examining and discussing the realities of our faith and the calling we have as Christians to turn our love for Jesus into action towards others. Last night we wrapped up the series by looking at Matthew 25:31-46 – where we see Jesus on the Mount of Olives with his disciples. The story that Jesus brings up is one that most of us are familiar with: Jesus, at the end of time, has every nation, tribe, and tongue standing before him. He has sorted some of them to his left, and some of them to his right. The scene quickly shifts to those on his right who answer him, saying "Lord, when did we see you hungry and feed you, or thirsty and give you drink? And when did we see you a stranger and welcome you, or naked and clothe you? And when did we see you sick or in prison and visit you?" Now, for those who are unfamiliar, a few weeks ago we posted a blog about one of our North Campus high school students Britni, who approached me with the desire to start a food drive for her birthday. Along with the blog post, I quickly spread the word throughout our student ministry and social media to join in and help stock the shelves of our Beltway Park Food Pantry. Then, without anyone's prompting, Pastor McQueen announced the following Sunday morning that both of our campuses would be taking donations up for our Beltway Food Pantry in honor of Britni's birthday food drive. The response was simply astounding. I remember sitting in my office when I first read those numbers in an email, and I couldn't help but feel overwhelmed. You see, this is about something greater than cans of food or dollar signs. This is about people. This is about a community coming together to do what Jesus has called us to do – love our neighbor and to take care of the "least of these." The thing I've realized in my own life, is that I tend to over-spiritualize "loving thy neighbor." But the remarkable thing about Matthew 25:31-46 is the fact that Jesus is talking about actions that aren't inherently spiritual at all. Jesus isn't calling out to those who prayed for the hungry. Those on the right aren't described as people who led some massive spiritual crusade or revival. Gave a drink to the thirsty. Cared for the sick, the stranger, and the needy. You know what I love about that? 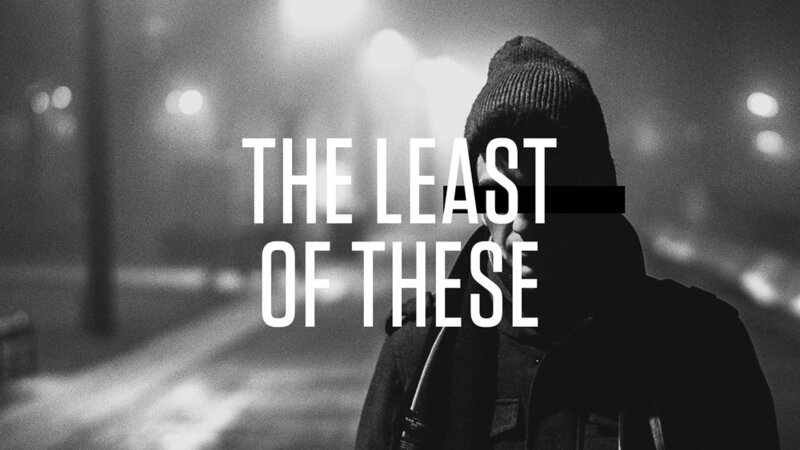 Though seemingly unspiritual they may be, when we do those basic things for the "least of these," we are actually doing them directly unto Jesus. And so we can all "ooh" and "ahh" about $13,000. But that's not what this is about. This is about people. Because do you know what 70 food and personal items + over $13,000 actually does? Gives a drink to the thirsty. Cares for the sick, the stranger, and the needy. So, to the countless strangers who dug into their pockets or into their pantry, and to those who daily give of yourself in order to take care of the "least of these" – Thank You.